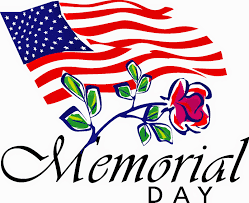 Happy Memorial Day my friends! I hope you all had a wonderful long weekend filled with time spent with loved ones. I also hope you took a moment to remember what this day really is about and gave thanks that gave all so that we can remain safe and free. Mr.B & I spent some time outside getting the furniture back up on the deck so that we can sit and watch the sunsets at night. We did fire up the BBQ and grilled up some carne asada steaks (droool!). Not the the unofficial start of summer is here, how about we throw a party so hot you'll need to head for the pool?! 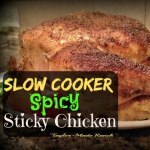 Tammy from the Taylor-Made Homestead knocked it out of the park with her recipe for Slow Cooker Spicy Sticky Chicken! Perfect for those upcoming days when it's too hot to turn on the oven or be outside at the BBQ! 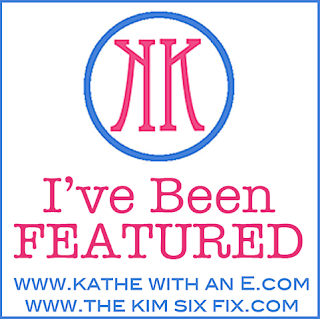 For my pick of the week I ask you to head on over to Judy's blog, JBiggs Little Pieces! 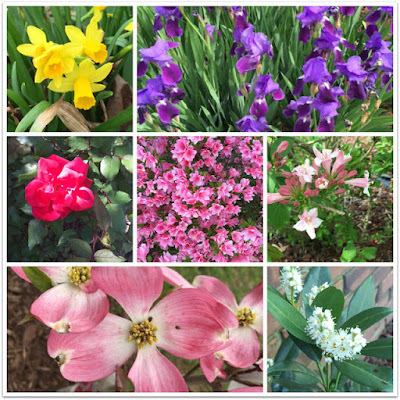 Judy's flowers & blooms post took my breath away! And! These are just in her FRONT GARDENS! I die at the beauty of it all! Go! NOW! Whaaaaa....??? How exciting to see my slow-cooker sticky chicken recipe is being featured on the party this week! It's one of RancherMan's favorite meals. Oh and I Love, Love, LOVE this fun party, Kathe - thanks for hosting! Thanks for hosting, Kathe. Quiet day here. Glad you had a good weekend. Thanks for hosting the party, Kathe. It's an honor to be featured. Thank you for hosting this weekly! Hope your week is great. Thank you Kathe for hosting. Always fun to visit. May was a whirlwind for us with lots of grandchildren happenings. June will be busy too! It's nice to catch up with you here and join in on the arty!